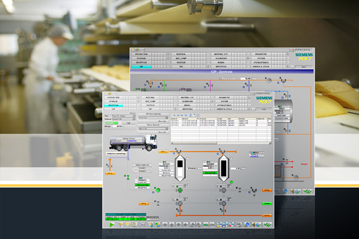 Siemens’ Dairy Functional Toolset (DFT) complements the Simatic PCS 7 process control system by adding various important functions for milk-processing enterprises. 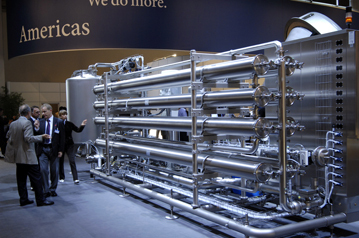 DFT allows specific workflows such as milk sampling, pasteurization, separation, cheese and yoghurt production and the end-of-process cleaning of pipes and tanks to be accurately and easily controlled via Simatic PCS 7. The new DFT software contains all necessary visualizations (faceplates) for displaying plants and processes controlled by Simatic PCS 7 on the screen. Important process steps are pre-installed to the most up-to-date industry standards and can easily be configured to suit any application. Moreover, this Siemens DFT toolset continuously captures and archives production-related data such as temperature, agitation time, pH, and storage location. These data can then be exported to a superimposed MES (Manufacturing Execution System) or an ERP (Enterprise Resource Planning) system. 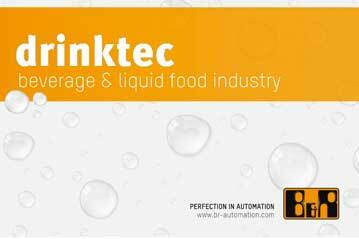 This integrated data management concept ensures consistently high product quality and product traceability from the raw milk to the processed, saleable product. Functions related to specific process steps and workflows are pre-consolidated within he DFT software. For example, modules for the management of materials, system parameters, orders and storage locations are pre-installed. These support the automation of production processes from the delivery of the raw milk to the signing off for bottling and packaging. Further modules such as those for tank management, piping system management, process line management, follow-up material testing and a CIP (cleaning in place) sequencer have been optimized within the new software with a view to automating processes such as transfers, mixing and cleaning. Milk processing today calls for extremely efficient and perfectly interacting processes from the delivery of the raw milk and its sampling and initial preparation through the various operations in the dairy processing plant to its packaging, storage and shipment. With its customized solutions such as the DFT software and an extensive product portfolio of integrated automation and drive solutions, Siemens is helping milk-processing enterprises to optimize their production processes and thus enhance their competitiveness.